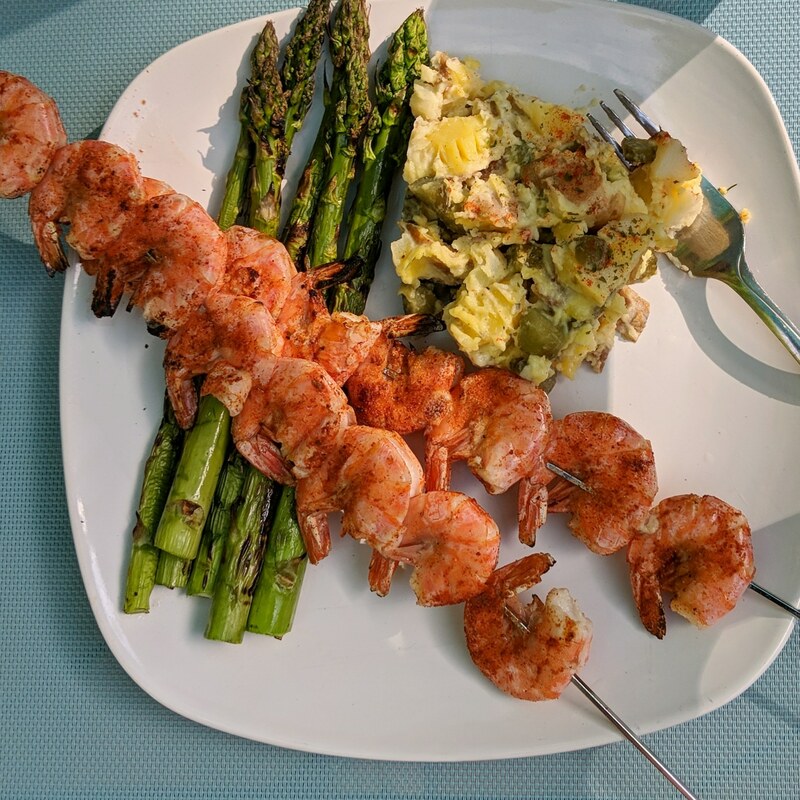 I'm sure this recipe came from something like a magazine ad, but it is by far my favorite recipe, and with a couple changes, you can cut some calories and have a great side dish for those summer picnics. It's also high in potassium (and sodium, so, you know, restraint). Boil diced potatoes about 20 min, until tender. Combine potatoes, pickles, and Good Seasonings. Stir and set to cool. Once room temp, stir in mayo. Sprinkle with paprika and parsley just to make it pretty. Makes 6 servings, 175 calories each. Seen here with 8oz. Shrimp with Old Bay Hot and 5oz. of fresh asparagus for a 360 calorie, grilled meal.